Imran Khan could become the next prime minister of Pakistan. Nawaz Sharif could end corruption once and for all. Donald Trump could end up falling in love with Pakistan. I can expect any of these situations to become a possibility in this world, but if there is one thing that comes close to being impossible, it has to be Umar Akmal learning from his own mistakes. The Lahore Qalandars are known for their bravery, amongst other things. 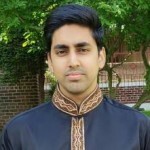 Sometimes, however, they take a step too far as they try to be unique and courageous, and leaving their middle order in the hands of Akmal is a risk that even the biggest of daredevils would not take. Bravo to the Qalandars for trying their luck with Akmal against all odds, but in all honesty, spending that money on the lottery would still have been a smarter investment. Akmal’s contribution in both his batting and bowling performances for the Qalandars thus far in 2018, comes down to 31, one, six, four and 15 for the past five matches – an abysmal score which gives him an average of around 11 runs per game. Before I elaborate, let’s not forget Akmal is Lahore’s platinum player, with a value of up to $200,000. If I were in Fawad Rana’s shoes, I’d take a shoe off and smack myself in the head to try and bring back my senses before picking players in the next draft. Each of those 11 runs is coming at an exponential cost to the Qalandars. The third edition of the Pakistan Super League (PSL) proves that the Qalandars like setting up a trap for themselves. The moment they left their middle order at the helm of Akmal was the moment they stabbed themselves in the foot, for Akmal has mastered only one art in his entire career, and that is the art of being consistently inconsistent. Appreciation tweet for Mickey Aurthur who kicked out Umar Akmal from International team. When Akmal first stepped onto the international stage of cricket, he stole the show with a blistering 100 against Sri Lanka. I also remember watching him play a T20 against Australia wearing a glowing green colour on his lips and smashing the ball in every side of the park. It was unusual to see a Pakistani batsman take on the Australian bowlers in such a daunting fashion. Given his performances, the entire nation thought success was waiting at Akmal’s doorsteps; however, success does not come to those who don’t learn to value it. Slowly but surely, I watched an exceptionally talented young Akmal transform from a future star into a predictable failure. He had all the shots in the book, as if God had personally listened to all his requests, but one factor was missing. This factor may be the only barrier keeping him one step away from success in his entire career – the ability to understand the game and adapt his approach to it accordingly. Sometimes I just can't believe this is the same Umar Akmal who was making headlines in 2009, he was The Next Big Thing! 9 years later, it's a talent wasted! Miserable. Playing according to the game situation is completely foreign to Akmal, as he likes to follow his own set of rules. If the team needs him at the crease, he will make sure to somehow slog his way out. However, cricket is ultimately a mind game. Sure enough, you do need the skills to execute your plans, but then again, knowing how to approach the game is critical to getting the job done. Virat Kohli is a perfect example of a player who has mastered the ability to play according to the situation of the game. Akmal, on the other hand, is yet to learn what the game situation demands from him. If throwing your wicket isn’t enough to hurt your team, then taking the team’s only Decision Review System (DRS) certainly is. Someone needs to tell Akmal that the review system is for the entire team, and not a personal decision. I do understand Akmal’s desperation to opt for the review each time he can get his hands on it though, since it does seem like he needs a second shot at everything in life. Life has been gracious to Akmal, with plenty of opportunities presented to him over the years. However, time and again he has shown that not only does he refuse to learn from his mistakes, he also has an uncanny ability to make headlines for all the wrong reasons, even when he is off the field. One can only hope that Akmal gets his head back in the game, and uses his cousin Babar Azam as a role model, because runs scored off the bat speak louder than any press conference a cricketer can hold. Akmal has been gifted with far too many shots; it’s about time he learns to value them. He needs to be playing big innings to get his team home and justify the talent he has been gifted with; for he is gifted with talent, he just has not figured out what to do with it. If Umar Akmal will ever play hide n' seek with his talent. He himself will not be ever able to find where is it hidden. I say this with pain, but until Akmal matures as a batsman, the Qalandars need to move forward by replacing him and bringing some stability to the middle order. Akmal is not the only factor holding the Qalandars back, but given their appalling performance this season, removing him will be the first step on the road to recovery. 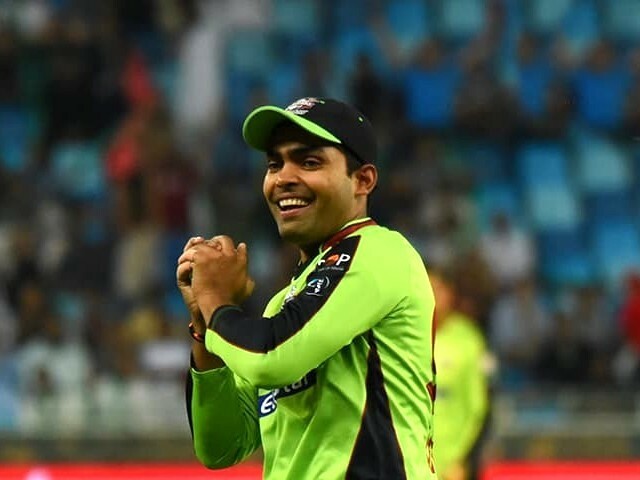 Should Lahore Qalandars replace Umar Akmal? Imran Khan will not become the PM of this country through vote. Hahaha not a big fan but yeah disappointed to see him waste all the chances that he got. He has plenty of problems to be honest and a bad attitude is just one of them lol Your right someone has to tell him 1 shot on 1 ball please! I don’t think he has anyone to blame but himself for where he is today. Poor Rana Sahab.